After multiple interest rate hikes, could the Fed resort to cutting rates next? Fed fund futures are showing there is a 24% chance of an interest-rate cut in January 2020. 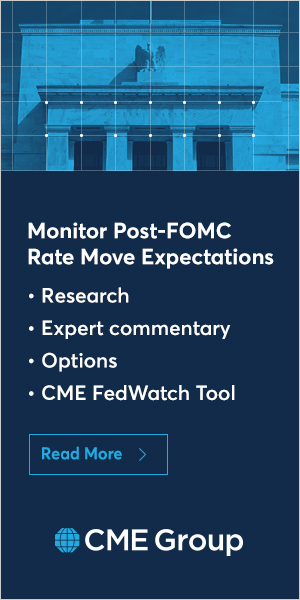 Blu Putnam, CME Group Chief Economist discusses why the Fed may be at a crossroads when it comes to their 2019-2020 rate hike path.